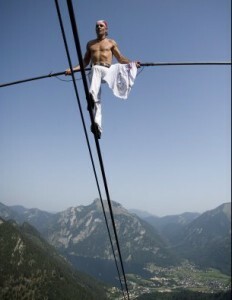 Here is another video in which Theo talks about his spiritual attitude that allows him to walk on his line. He says your mind and body and spirit are closely connected, and all have to be in balance. Also that your soul is your connection to the infinite. You must contemplate to have a calm body if your mind is uneasy…and vice versa. 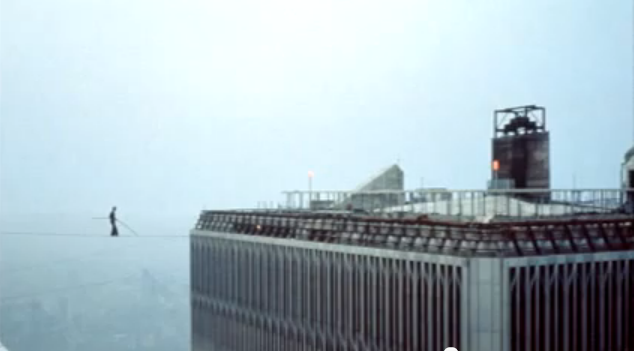 Philippe Petit’s movie, “Man On Wire,” receives recognition around September 11th for his incredible stunt of walking on a cable between the Twin Towers of the World Trade Center. When asked why he did it, he said “There is no ‘why.’ ” He was arrested and sentenced to a free kiddie show in Central Park. 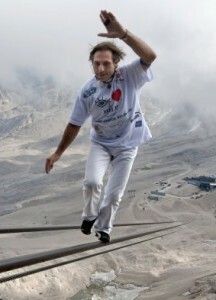 He said he just couldn’t resist climbing and walking on wires since he was a small boy. And he didn’t just walk across once…he spent 40 minutes doing knee bends, lying down, dancing and going back and forth eight times to avoid and tease the police trying to grab him. Here is the news report by Walter Cronkite in 1974. Here are Philippe’s own comments years later. 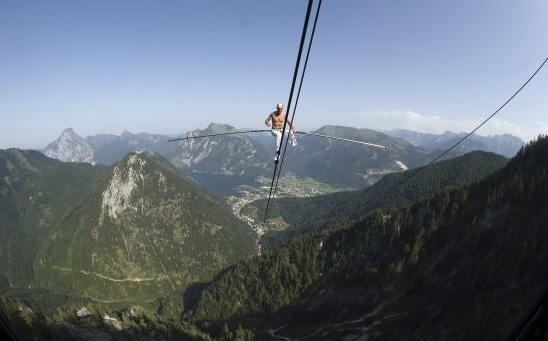 You are currently browsing the archives for the slacklining, highlining and wire walking category.